A sulphate and paraben free shampoo made from natural apple cider vinegar and enhanced with pure apple & pear extracts. Wow Apple Cider Vinegar Shampoo is able to repair everyday-damaged hair caused by styling product residue, chemicals, smog, and other factors that dry out your hair follicles. We’ve formulated the best organic shampoo for men, women, and kids to help prevent and get rid of dandruff caused by dry hair and scalp. The raw apple cider vinegar benefits include: antibacterial, antifungal, antimicrobial, and anti-inflammatory properties for the perfect combatant against dry scalps and flakes. Stop putting up with hair that’s dried out, flakey, itchy, and thinning out when you can revive it back to a thick, full, healthy head of hair in no time. Our apple cider vinegar shampoo will not only revitalize your hair back to health, it will restore back its natural gloss and shine it once had. Eliminates dandruff, dirt, and unhealthy bacteria to restore your hair and scalp to a balanced pH level to improve cuticle health. WOW Apple Cider Vinegar Shampoo brings back the lustre to the luxurious look you crave to regain. Feel and look like a million bucks after adding our apple cider vinegar shampoo to your daily washing routine. Our organic hair conditioner contains powerful botanical extracts and oils that restore and nourish severely weak, thin, and damaged hair back to a softer, fuller, silkier feel. Using a deep conditioner treatment like our coconut avocado hair conditioner will allow your hair a chance to recover and heal from daily damaging styling routines and pollutants. Like all of our WOW hair products, our coconut oil hair conditioner is formulated with natural ingredients to deliver intense volumizing moisture and nourishment. No longer will you have to imagine having softer hair because it’s now attainable by adding WOW Coconut Avocado Hair Conditioner to your washing routine. WOW Coconut Avocado Hair Conditioner is also known as a hair growth conditioner because it’s able to stimulate the scalp to increase blood circulation to the hair follicles. The coconut oil is able to naturally help hair grow faster, thicker, stronger to help reduce frizz, split ends, and unwanted tangles that stop your hair from growing. Our hair conditioner has been tested multiple times and it’s been proven to naturally restore your thinning hair using our nutrient-rich vitamins. If you have damaged hair from color treatments, chemicals, or the dry heat from blow drying and styling irons, use this coconut oil hair conditioner to revitalize it back to health. Pairing WOW Apple Cider Vinegar Shampoo with WOW Coconut Avocado Hair Conditioner daily can lead to longer-lasting healthy hair with a volumizing bounce, leaving others gazing with envy. Revive your hair’s natural look and shine by establishing a daily routine with this hair regrowth shampoo and conditioner set. We deliver only the best natural shampoo and conditioner to ensure you love the way you look and feel each time you use it. Made with pure Himalayan spring water and premium botanicals to hydrate, volumize, thicken, and nourish to leave your hair deliciously-scented and healthy. Take advantage of the WOW Apple Cider Vinegar Shampoo and Conditioner set’s new larger size and easy-to-pour cap! Balance your PH and Add Immense Shine to your hair with Apple Cider Vinegar Shampoo! WOW Science strives to create premium-quality, effective hair care formulas for our customers. WOW Apple Cider Vinegar Shampoo and Conditioner are carefully formulated to meet your hair care essential needs to work on all hair types. Apple cider vinegar shampoo does not contain any animal-derived components. All ingredients are natural and vegan -- tested to be completely safe and harmless to hair and scalp, but never on animals. WOW strives to bring real value to you by being there with you, every step of the way. We offer world-class customer service and exclusivity - 100% customer satisfaction guaranteed or your money back! WOW Apple Cider Vinegar Shampoo is indeed a gift from the Himalayas, as its made with the natural apples grown in the Himalayan mountains. They’re able to be preserved for the freshest formulas by being often frozen from snowfall. WOW Skin Science uses certified bioactive extracts to ensure each product is truly functional by nature, good for the environment and for healthy hair. We use only the best natural shampoo and conditioner ingredients to add to your hair. 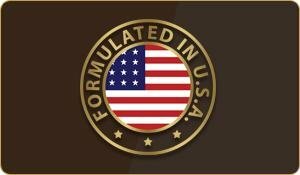 Our WOW hair products are highly substantial when it comes from a place with high global standards such as the USA. WOW Apple Cider Vinegar Shampoo is carefully formulated through consistent quality checks. Apple cider vinegar is naturally high in acetic acid and has a pH level which is close to that of real human hair. Regularly washing with Apple Cider Vinegar Shampoo can help bring your scalp and hair to its ideal acidity, especially if you have oily hair. WOW Apple Cider Vinegar Shampoo is powered with natural and pure apple cider vinegar derived from fresh Himalayan apples. Top organic shampoo that prevents glycation - common cause of aging hair. The acetic acid in apple cider vinegar shampoo is a potent antimicrobial which can kill bacteria and fungus, common underlying causes of dandruff and hair loss, making it a fantastic natural cure for grimy buildups! WOW Apple Cider Vinegar Shampoo and conditioner smooth down the lifted cuticles caused by frizz by balancing your pH levels. Get rid of unwanted tangles by healing your hair and giving it a chance to recover. By using apple cider vinegar shampoo and conditioner regularly, you’ll naturally be removing tangles from your hair, closing the cuticles, improving porosity, and encouraging stronger strands - all of which reduce split ends and breakage. Apple cider vinegar shampoo stimulates better blood circulation to the hair follicles - leading to healthier hair growth. Also contains DHT blockers that reduce hair fall.